Sierra Leone shut its borders to trade with Guinea and Liberia on Wednesday and closed schools, cinemas and nightclubs in a frontier region in a bid to halt the spread of the Ebola virus. Sixteen people have died of Ebola in Sierra Leone, a figure that has doubled in the last week, Ministry of Health figures showed. Authorities will also mount health checkpoints in the eastern Kailahun district and mandated that all deaths there be reported before burial. Anyone who dies of the virus must be buried under the supervision of health personnel, the Information Ministry said. The decision to close district schools came after a nine-year-old whose parents died of Ebola tested positive for the virus, Deputy Minister of Information Theo Nicol told Reuters. “There is more contacts between school-going kids than adults hence the closure of schools in the most affected district,” he said. The ban exempted churches and mosques but religious leaders should urge anyone with a fever to go to a clinic, he said. Local groups welcomed the measures given public concern over the virus, which can be transmitted by touching victims or their body fluids. The virus initially causes a raging fever, headaches, muscle pain and conjunctivitis, before moving to severe phases that bring on vomiting, diarrhoea and internal and external bleeding. 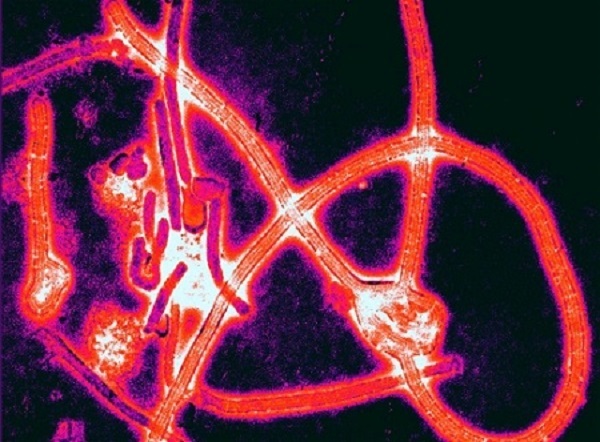 Some 328 cases and 208 deaths are linked to Ebola in Guinea, according to the World Health Organization, making the outbreak one of the deadliest for years. More than half of new deaths in Guinea were in the southern region of Gueckedou, epicenter of the outbreak which began in February, near the Sierra Leone and Liberian borders. The town is known for its weekly market which attracts traders from neighboring countries.